Oracle announced to change Oracle Database Patch Sets Starting With 11.2.0.2 [1189783.1] and I wrote about patch for Linux x86-64, x86. 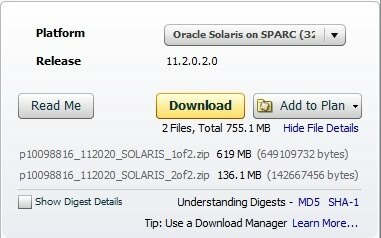 Today, We can download patch or 11.2.0.2 on Solaris. 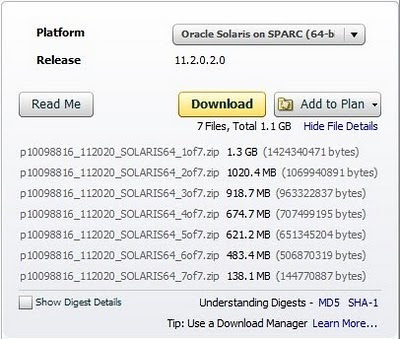 We can read Patch Set Notes 11g Release 2 (11.2.0.2) Patch Set 1 (E15732-03). However if we check patch SPARC (32-bit), We will see 2 files only.